On 22-23 November, EU leaders will meet in Brussels for a special summit focused exclusively on the multi-annual financial framework (MFF), which will determine the expenditure limits for the future EU budgets 2014-2020. Discussions on 22-23 November will inevitably have an impact on the EU's different programmes and policies – there will be 'winners' and 'losers'. So far member states do not seem to agree on the level of the budget. The European Commission stands by its initial proposal, €1,033bn, which it deems balanced and appropriate to fullfil its mission as an 'investment budget'. 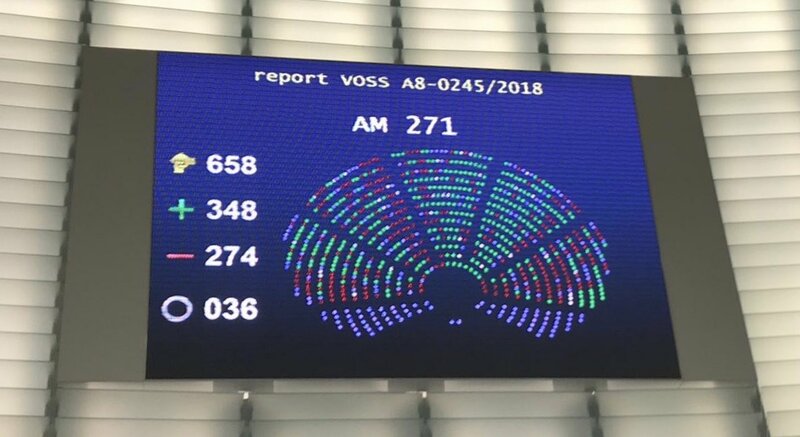 And in a Resolution on 23 October adopted by an overwhelming majority of MEPs, the European Parliament said that the original Commission proposal would not be sufficient to finance existing "Europe 2020" strategy priorities. In its proposal for a 'CreativeEurope' support programme for Europe's cultural and creative sectors for 2014-2020, the European Commission foresees a budget of €1,8bn, which represents 0,17% - in other words a miniscule fraction - of the total proposed (€1,033bn). IMPALA calls on EU leaders, and on the European Parliament – which is actively involved under the new treaty provisions – to support a strong MFF and a strong Creative Europe programme. Helen Smith said: "at a time when many member states are cutting their budget for culture, we believe it is paramount for the EU to maintain the budget proposed for the cultural and creative sectors. The financial facility proposed is a vital new element, much needed to address a current market failure. These sectors account for up to 4,5% of EU GDP and up to 8.5 milion jobs, are in a strategic position to produce well-documented spillover effects in other industries, and produce high-return on strategic investments. Actors all across these sectors need the current culture budget to be fully supported. The financial facility will be key in unlocking much needed investment. Perfectly in line with the overall aim to have an "investment budget", it will play a key role in realising the sector's largely untapped potential, as recognised by the European Commission." The Creative Europe programme aims to strengthen Europe's cultural and linguistic diversity, and strengthen the competitiveness of the cultural and creative sectors. Through its three strands (MEDIA, CULTURE, and a cross-sectoral strand), and particularly through the new Cultural and Creative Sectors Guarantee Facility (a loan guarantee/capacity building instrument), Creative Europe represents a great opportunity to unlock the potential of the cultural and creative sectors, boost jobs and growth among cultural and creative SMEs, and help fill the existing funding gap (estimated by the EC to be between €2,8 and €4,8 billion). Supporting a strong budget for the Creative Europe programme is entirely in line with recent calls from EU institutions such as: EU compact for jobs and growth, June 2012; European Commission Communication “Promoting cultural and creative sectors for growth and jobs in the EU”, September 2012; European Parliament Report on cultural and creative industries, April 2011; European Commission Green Paper on cultural and creative industries, April 2010; Council conclusions on the contribution of culture to local and regional development, May 2010.